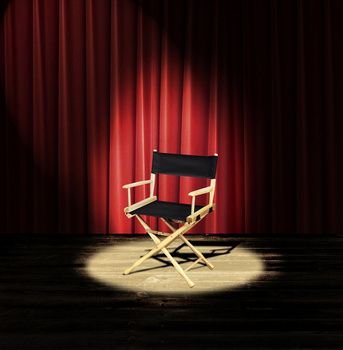 My life as a Stand-Up Comedian...er, Speech Therapist - Boston Speech Language Therapy in Brookline, MA 02445. Speech language pathologists are often thought of as wearing many hats; we are part teacher, part counselor, and (I would argue) a very large part entertainer. Working with the pediatric population, it is our job to get children as motivated, invested and participatory in their speech and language therapy as possible in order for them to make the most progress. Making yourself the reinforcement (and entertainment!) is an excellent way to have consistently fun, productive sessions. You ARE the reinforcement. Imagine not having to withhold a toy or make a child wait to take his turn until he produces a speech and language target. When you are the reinforcement, he is motivated to participate without these more traditional expectations. Your clients will not want to play without you. Have you ever experienced a young child who is content to play by himself rather than play whatever you offer (and, of course, do the work that goes along with it)? When the reinforcement is your reaction, he will not want to play independently! Your clients will have a consistent positive association with speech and language therapy. What’s better – to associate speech therapy with work, or to associate it with constant laughter? When you use a lot of comedy, kids can’t wait to come to speech. You can incorporate it into anything. Sometimes, even a simple board game can be made more fun by adding some humor into the mix between or during turns. It’s a TON of fun. I find myself cracking up along with my clients – it makes speech and language therapy more fun for the clinicians, too! Trip, stumble, and fall down. The Three Stooges used constant slapstick humor, and kids this age love it. If a child can see you trip over and fall down on your bean bag chair again, he will be willing to complete any speech and language target you ask! When your act gets stale, modify it just slightly. Have you fallen down on your beanbag one too many times? Miss the beanbag and fall on the floor! Make lots of funny faces. As the Three Stooges were known for over-exaggerated funny faces, children at this age will crack up if you can make some funny faces of your own. I find that using the same funny faces repeatedly helps young children predict what is coming, which they find hysterical. Use big props. Anything you can find! Big hammers, the furniture in your room – any way that you can incorporate props into your sessions is a blast. Make something unexpected happen. Joey sometimes did magic tricks, but my unexpected occurrences include having a car hop and say “ribbit,” reaching into a pretend car engine and pulling out a large wad of Silly Putty, or anything that comes up in play! Remember, it only has to be unexpected for the child – you can have just a few that you shift through in your repertoire. Overreact in a silly, playful way. Joey was all about the drama! Are you stuck on the ground? Pretend you absolutely cannot get up. Did your client pop a bubble on your face? Pretend it was the most disgusting thing you have ever felt! Use a funny voice. Impressions may have been the biggest part of Joey’s act. I have several voices that I use with kids (my favorite is the robot), and they are often willing to produce extra speech and language targets to hear my “silly voice” between each attempt. Word Play: Word play becomes a lot of fun at this age. Children’s movies often have puns in their taglines; “Gnomeo and Juliet” claims “A little adventure goes a lawn way.” As children this age begin to understand more of this humor, it is great to incorporate into sessions. 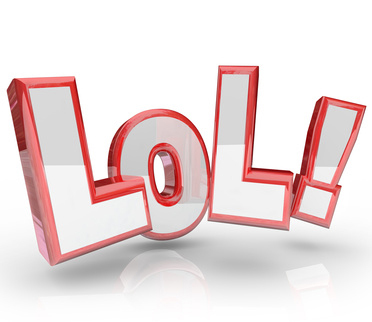 Sarcastic humor: I love it when I can use sarcasm with my clients! I once heard a comedian say, “I’m not saying I’m smarter than Steve Jobs was, but I would have made the iPhone charger cord twice as long.” Making sarcastic jokes about almost anything can feel like having an inside joke with a friend. I like to use sarcastic humor to create inside jokes, such as always joking about how fake an animal looks on an articulation card – it makes for a laugh each time that card comes up. The Roast: Some playful banter can be both funny and motivating. If we’re playing a game, I might boast about my playing skills. For older kids who have debates as part of their articulation therapy, I often playfully counter their arguments with my own – this makes for increased conversational pressure (good for generalization of speech sounds) AND a laugh! Every child is different; as with anything, it is important to read the child and figure out what type of humor will be most motivating for him. Use these tips to incorporate humor with your clients for consistently positive, productive, and motivating sessions. 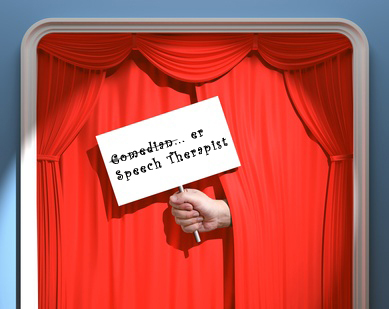 And that’s my life as a stand-up comedian… er, speech therapist!